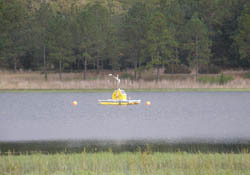 National Ecological Observatory Network (NEON) is a large facility project managed by NEON, Inc. and funded by the National Science Foundation. NEON, Inc. itself is not a funding agency. 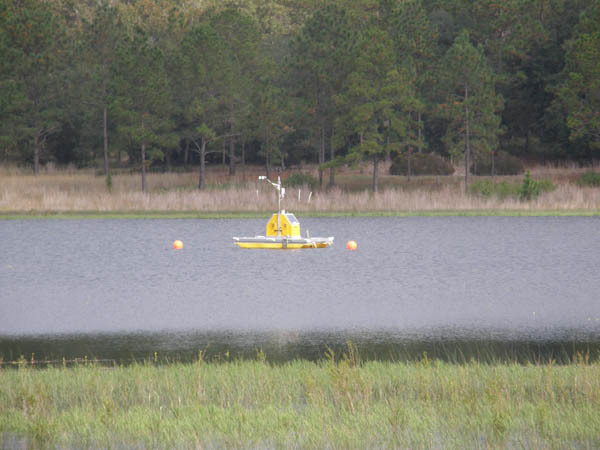 NEON, Inc. is an independent 501(c)(3) corporation created to manage large-scale ecological observing systems and experiments on behalf of the scientific community. NEON’s goal is to contribute to global understanding and decisions in a changing environment using scientific information about continental-scale ecology obtained through integrated observations and experiments. NEON has partitioned the U.S. into 20 ecoclimatic domains, each of which represents different regions of vegetation, landforms, climate, and ecosystem performance. Data will be collected from strategically selected sites within each domain and synthesized into information products that can be used to describe changes in the nation’s ecosystem through space and time. 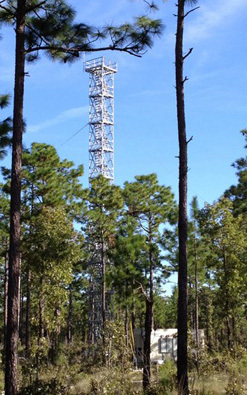 In 2011, The University of Florida signed a 30 year land use agreement with the National Ecological Observatory Network (NEON) to utilize the Ordway-Swisher Biological Station as the Southeastern domain core site for NEON's ecological observation network. These data and information products will be readily available to scientists, educators, students, decision makers, and the public. This will allow a wide audience, including members of underserved communities, to use NEON tools to understand and address ecological questions and issues. The NEON infrastructure is a means of enabling transformational science and promoting broad ecological literacy. For more information regarding NEON and its resources, please visit their website at www.neoninc.org.